There are so many memorable ways to spend ‘golden hour’ on North Island, here are our five favourite spots to watch the sun go down. By far the most popular place to end the day and for good reason is at Sunset Bar which sits at the northernmost point of West Beach and provides the most dramatic sunset skies on the Island. Imagine fiery oranges, deep purples and vibrant pinks. Take a leisurely stroll from one end of this long stretch of beach to the other and finish off with a thirst-quenching cocktail tailor-made by North Island’s bartenders to suit your palate. 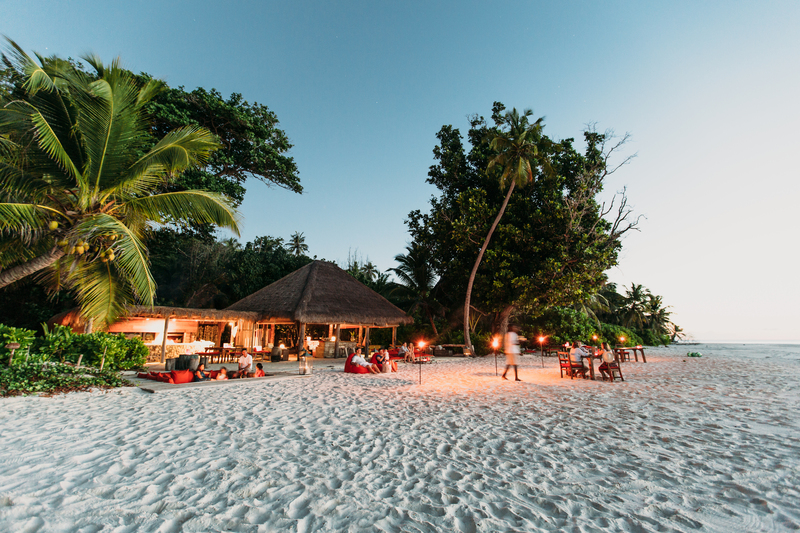 The day needn’t end there – linger longer and enjoy a sumptuous beach barbecue or thin-based wood-fired pizza while dining with your feet in the sand. One of North’s best-kept sunset secrets can be found at a lesser-known lookout point at the base of Spa Hill, just beyond the main swimming pool at the Piazza. Located on the east side of the Island, it has endless views across the Indian Ocean and provides a different perspective of sunset with soft pastel skies. 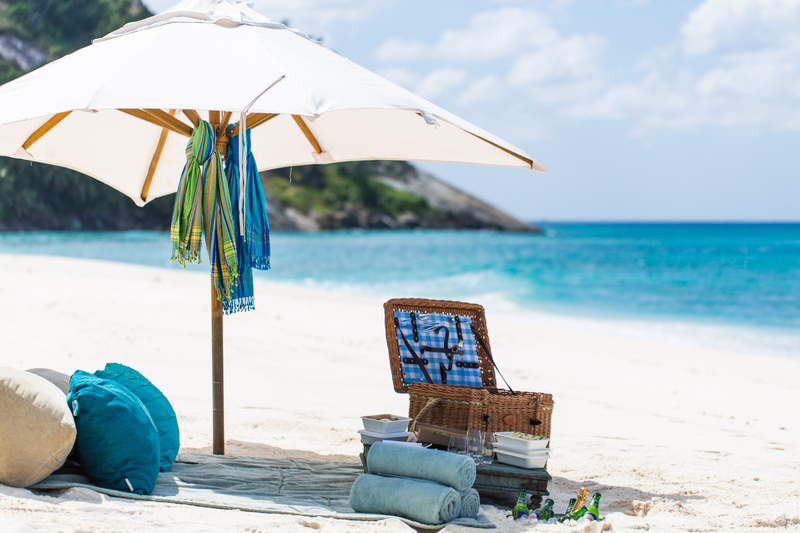 A picnic blanket and comfy cushions are laid out on the granite rocks and a generously stocked champagne bucket awaits you. Canapés are prepared to complement your frosty flute of bubbles and we light the bonfire as the sky turns to inky shades of blue and the first stars begin to appear. 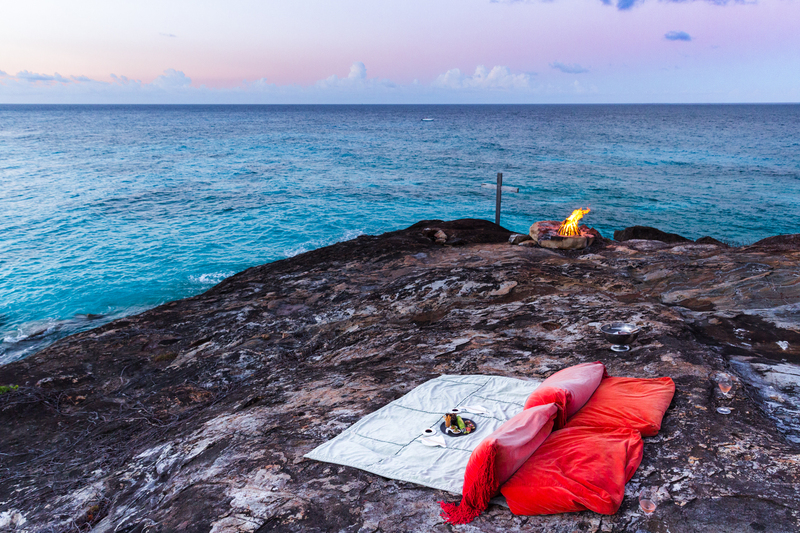 Book a private picnic at Honeymoon Beach for the ultimate sunset experience. We’ll sling a rope across the entrance and the beach is all yours. Chat to our chefs to custom design your picnic basket while our sommelier and bartenders suggest the perfect wines or drinks to complement your choices and ensure you have everything you could wish for as the sun slips below the horizon. As a beautifully romantic gesture for your loved one, why not work with your Villa Attendant and Guest Experience Host to pull this off as a surprise? Take a private sunset cruise around the Island for a different perspective on the unique hues of the Island light that comes to life at dusk. 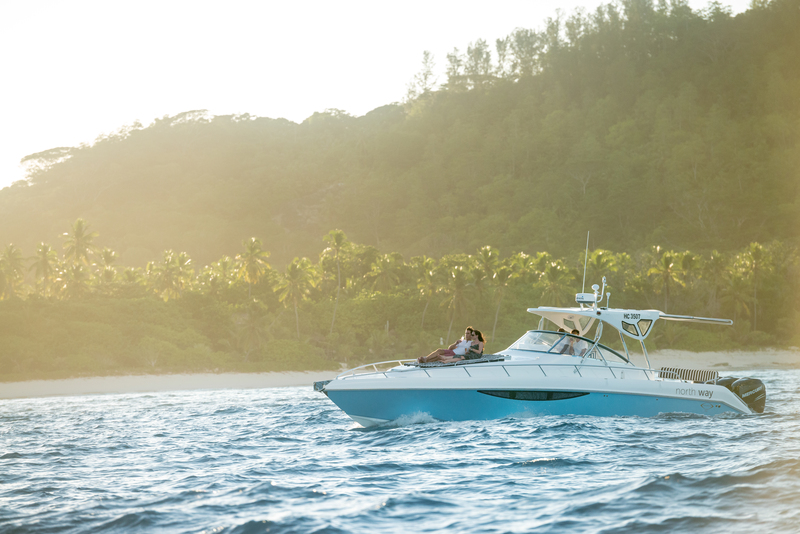 Drop anchor just offshore from West Beach as the sun is about to dip into the ocean and lean back on the comfortable loungers on North Way, our 40ft monohull cruiser. Sip on a refreshing gin and tonic or an ice-cold Seybrew and nibble on some tasty appetisers while the calm seas gently guide you into the evening. Head back to the Dive Centre to top off your day with a candlelit dinner in the Piazza. Some might argue that there is no need to venture out. With beautiful ocean views from all 11 villas, you can experience sunset from the comfort of your ‘home away from home’. Your in-villa pantry is stocked with your personal favourites and your Villa Attendant is on hand to assist with sunset drinks and snacks. Upon turndown, your attendant will light a multitude of tea-light candles and incense sticks, turning your villa into a magical setting for sunset. 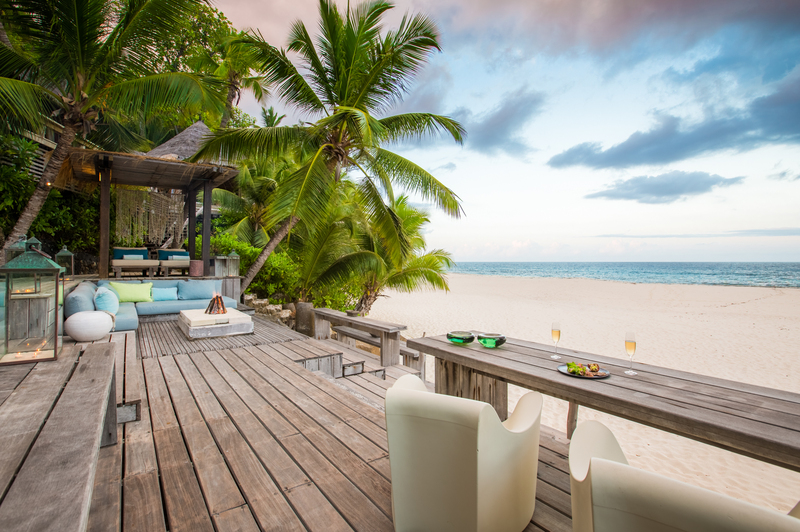 Wander onto the beach directly in front of your villa with drink in hand and sit with your toes in the sand while you soak up the last rays of sun.